IRVINE, Calif. – Nov. 5, 2015 – The 1105 Media Enterprise Computing Group—producer of the Live! 360, Visual Studio Live! and TechMentor conferences and the publishers of MSDN Magazine and Redmond—has announced that its last event of 2015, the fourth annual Live! 360 conference has set a new registration record and is nearing sold-out capacity. "Registration for this year's conference is up 40 percent over last year's Live! 360 conference," said Henry Allain, chief operating officer, 1105 Media Inc. "We are very excited to welcome attendees and partners to what will be one of the best industry education and networking events of the year." Taking place Nov. 16 – Nov. 20 at Loews Royal Pacific Resort in Universal Orlando, Fla., Live! 360 is comprised of five co-located events: Visual Studio Live!, SharePoint Live!, SQL Server Live!, Modern Apps Live! and TechMentor. Developers and IT pros can register online for just one of the co-located conferences and get unlimited access to any of the five Live! 360 events, creating a one-of-a-kind event experience for each attendee. "With only 50 attendee spots remaining, this year's event is on track to not only be the best-performing, but also the best in terms of attendee experience," says Brent Sutton, senior event director of the 1105 Enterprise Computing Group. "Live! 360 is unique for several reasons. One is the attendee's ability to build a personalized, custom agenda from more than 180 educational sessions. The technical content and training is specifically crafted to suit almost every IT and developer title. Another is the opportunity to connect with thousands of fellow developers and IT pros from around the world—last year more than 35 countries were represented. Finally, this event provides the perfect locale for bringing the family along to combine a week's worth of learning and fun." In addition to the technical content and insightful keynotes, Live! 360 will offer attendees the opportunity to meet one-on-one with vendors and sponsors in the exhibit hall. Exhibitors include event partners Microsoft, Magenic and Amazon Web Services; platinum sponsors Gridstore, Pluralsight and Sencha; and gold sponsors e-SignLive, GitHub and Idera. More information and registration details can be found at https://live360events.com. Live! 360 2016 will take place Dec. 5 – Dec. 9 at the Loews Royal Pacific Resort at Universal Orlando, Fla. Registration will be available in the first quarter of 2016. Visual Studio Live! 2016 dates can be found at https://vslive.com. TechMentor 2016 dates can be found at https://techmentorevents.com. Rajeev Kapur has been making big moves at 1105 Media since taking over in November 2014. In a surprise deal, he sold off the company’s education tech events to bolster the balance sheet. But within a few months, 1105 launched another event for 2016 and consolidated its marketing services under a new division, the 05 Group. Kapur replaced outgoing CEO Neal Vitale and was hired partly because he was an industry outsider. He was previously CEO of Sonic Emotion, a developer of 3D sound technology. (VIENNA, VA, October 27, 2015)— 1105 Media Inc., a leading B2B publisher, has been named winner and/or honorable mention in five of Folio's Eddie & Ozzie Award categories. For more than 20 years, the Eddie & Ozzie awards have recognized excellence in magazine editorial and design across all sectors of the industry. Winners and honorable mentions were decided by a panel of more than 300 judges, who narrowed down 2,800 entries into a pool of roughly 1,000 finalists. Winner: ADTmag.com's The Agile Architect: "Learn Faster with Agile Spikes" by Mark J. Balbes, Ph.D.
"1105 Media consistently produces high-quality and leading edge publications and websites that serve our readers with the information they want and our advertisers with the outreach they need," said Henry Allain, Chief Operating Officer. "I'm incredibly proud of both our Enterprise Computing and Public Sector business units' editorial and design staff for receiving these well deserved accolades. The entire team at 1105 Media works hard to produce superior products, and I'm thrilled that they're receiving recognition from such a well respected awards program as Folio's Eddies & Ozzies." (VIENNA, VA, October 14, 2015)—1105 Media, Inc. today announced a Call for Government Training for ACQUIRE 2016, taking place June 8-9 at the Walter E. Washington Convention Center in Washington, D.C. Produced by the same teams behind the FCW, GCN, Washington Technology, Defense Systems and Federal Soup media brands, the conference program will feature training courses from a diverse range of government agencies, a variety of informative breakout sessions, visionary keynotes and educational clinics on the show floor. ACQUIRE will provide government agencies, as well as industry experts, an opportunity to engage federal and military personnel with education and training opportunities across seven tracks: Acquisition Management, Information Technology, Office Management, Professional Services, Project Management, Happy Fed and Washington Technology Industry Days. "We expect ACQUIRE will be the 2016 destination event for government professionals. Training courses will be offered in one central location by multiple government agencies and industry subject-matter experts," said Anne A. Armstrong, Chief Content Officer at 1105 Media. "We believe ACQUIRE will transform the way government professionals select the training that advances both their agency’s mission and their careers." ACQUIRE invites all government and military agencies and departments and corporations to submit an application for training courses. There is no limit to the number of applications allowed. Submissions are due Friday, November 6, 2015 by 5pm EST. Please visit: https://acquireshow.com/submission. DALLAS, October 6, 2015 – HME Business, the top business management resource for HME professionals, announced the winners of its 2015 New Product Awards competition today. The HME Business New Product Award honors outstanding product development achievements by HME manufacturer and service providers. Thirteen winning products were selected in the second year of this program. Winners will receive awards and will be recognized at the 2015 Medtrade Fall Expo in Atlanta October 27-29. They will also be featured on the HME Business website, hme-business.com, and will be highlighted in the December 2015 issue of HME Business magazine. The magazine is distributed to more than 17,000* subscribers monthly as well as at key industry trade events such as Medtrade, and its website is visited by thousands** of HME industry professionals every month. 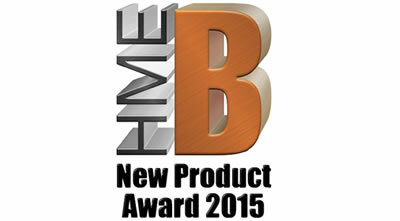 Information about the 2016 HME Business New Product Award will be available at hme-business.com in the spring of 2016. (VIENNA, VA., September 30, 2015)—Campus Technology, published by 1105 Public Sector Media Group, is pleased to announce the Winners of the inaugural Campus Technology Readers' Choice Awards. In Campus Technology's first ever Readers' Choice Awards, education technology professionals voted for the software, hardware and services they consider most vital to the mission and business of higher education. "Technology in the higher education space has grown leaps and bounds over the last few decades," said David Nagel, 1105 Public Sector Media Group's Editorial Director of Education. "Unfortunately, educators are often stereotyped as 'anti-technology' or even ‘technologically illiterate.' However, our Readers' Choice survey shows that educators at all levels value technology as an integral part of the educational process. Campus Technology is proud to honor the technology companies whose work — both commercial and open source — has contributed so much to the evolution of higher education." Detailed Winner profiles will be featured on CampusTechnology.com, and will appear in the October issue of Campus Technology. (VIENNA, VA., September 29, 2015)—THE Journal, published by 1105 Public Sector Media Group, is pleased to announce the winners of the inaugural Readers' Choice Awards. In THE Journal's first ever Readers' Choice Awards, education technology professionals voted for the software, hardware and services they consider most vital to the job of educating and supporting America's 50 million K-12 students. "The winners of our Readers' Choice Awards represent the best of a very vibrant, dynamic niche of the technology sector, one that has grown tremendously over the last few decades," said David Nagel, 1105 Public Sector Media Group's Editorial Director of Education. "What was once science fiction — or even fantasy — when we first began covering education technology in the 1970s and 1980s is now commonplace in America's schools. We're proud to honor those whose work — both commercial and open source — has contributed so much to education." Detailed winner profiles will be featured on THEJournal.com, and will appear in the October issue of THE Journal. (VIENNA, VA, September 11, 2015)—Redmond magazine, published by 1105 Media, Inc. and the 1105 Enterprise Computing Group, is pleased to announce the 2015 annual Reader's Choice Awards. In this program, IT professionals voted for the software, hardware and services that complement the core Microsoft offerings. "These awards are voted on by our readers," said Redmond magazine Editor-in-Chief Jeff Schwartz. "It's always interesting to learn what the most popular products are. At the same time, there were some close votes in quite a few categories where some products missed only by a few votes." The full list can be found at https://redmondmag.com/whitepapers/2015/09/redmond-readers-choice-awards upon registration, and will appear in the September print issue of Redmond magazine. 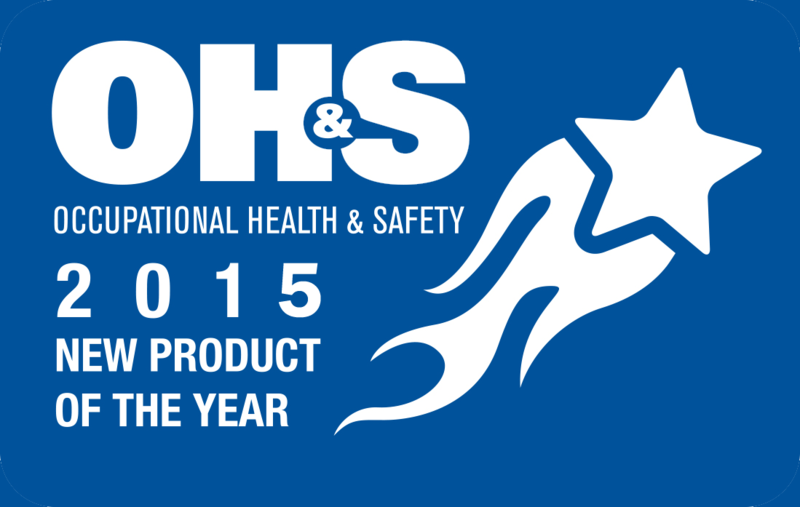 DALLAS, September 11, 2015 - Security Products magazine, the only integrated product and technology magazine reaching the entire security market, announced the winners of its 2015 New Product of the Year Award today. Winners will receive awards and will be recognized at ASIS International 2015 in Anaheim, California September 28-30. They will also be featured on the security industry leading website, security-today.com, and will be highlighted in the December 2015 issue of Security Products magazine. Entries are showcased in the September 2015 issue of Security Products magazine. The magazine is distributed to more than 65,000* subscribers monthly as well as at key industry trade events such as ASIS, and its website is visited by thousands of security professionals every week. 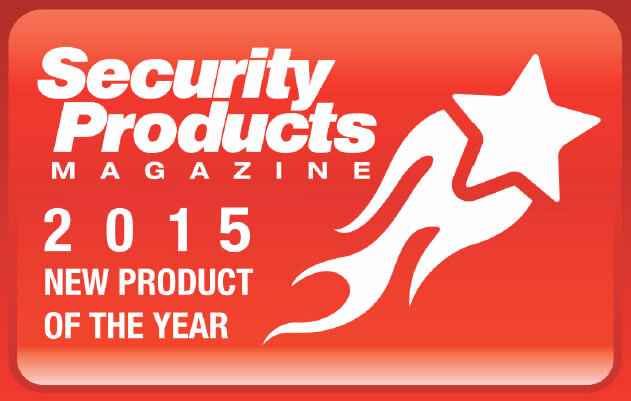 Information about the 2016 Security Products New Product of the Year awards will be available at security-today.com in the spring of 2016. The magazine's seventh annual contest drew a record number of entries and 23 winning products. Winners will be recognized at this year's National Safety Council Congress & Expo in Atlanta. DALLAS, September 10, 2015 – Eighteen companies, including multiple winners 3M Personal Safety Division, Ergodyne, MSA Safety, and MSDSOnline, were honored today for winning Occupational Health & Safety magazine's seventh annual New Product of the Year contest. Winners will be recognized with awards during the 2015 National Safety Congress & Expo taking place in Atlanta September 28-30. This year's contest attracted entries in 22 award categories, with an independent panel of three highly qualified judges choosing the winners. "Now in its seventh year, our New Product of the Year contest continues to grow, with a record 65 entries this year. The high quality and breadth of the 2015 entries proves once again how innovative safety and health manufacturers are as they compete in this fast-growing global market. Informing our readers and online audience about the best new products available to solve their key safety and health challenges has always been part of our magazine's mission, and this contest has become a unique and very popular extension of our outreach to the audience we serve. All of the most important PPE categories were hotly contested this year, especially the Fall Protection, Hand Protection, and Protective Apparel categories, and several other categories attracted multiple entries," OH&S Editor Jerry Laws said. "I congratulate all of this year's entrants on their fine work and thank them for participating. We certainly hope they and many other manufacturers will enter our eighth annual contest next year, as well." The 2015 contest's judges were Linda J. Sherrard, MS, CSP, safety consultant II for the North Carolina Department of Public Safety (Raleigh, NC) and former technical editor of OH&S; Leo DeBobes, MA, CSP, assistant administrator for emergency management and regulatory compliance at Stony Brook University Medicine (Stony Brook, NY), as well as an OH&S advisory board member; and Chuck Paulausky, CHMM, principal consultant and president for CP Safety & Environmental LLC (Chandler, AZ).